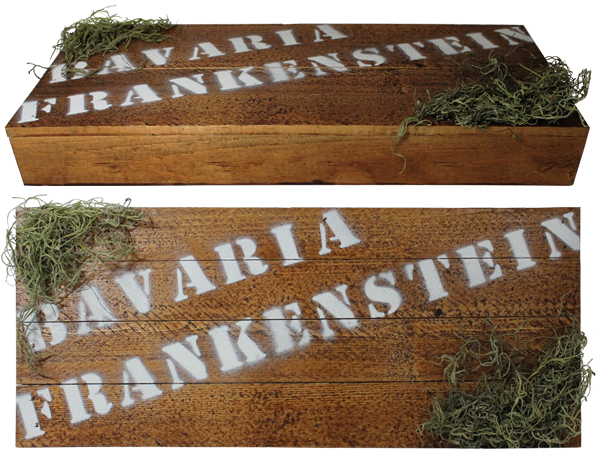 Horror Decor - Introducing a Monstrous New Line! First up, Wolfman Nards hanging ornaments! 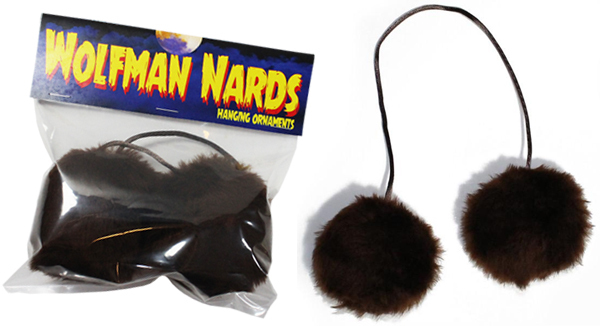 Wolfman's got nards, now you can, too! Perfect for hanging on your car rear-view mirror. Scary German Guy makes a killer pie! 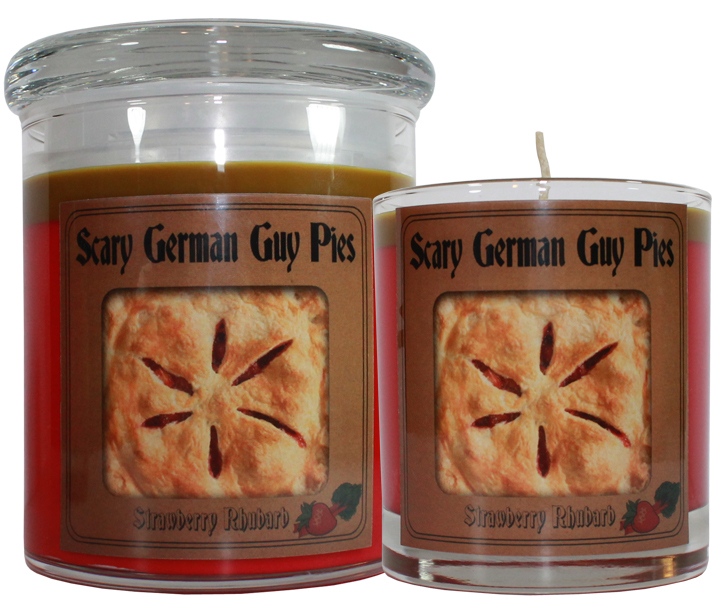 This strawberry-rhubarb scented candle is available as a medium or large glass candle and features red wax, with a tan crust colored top layer. 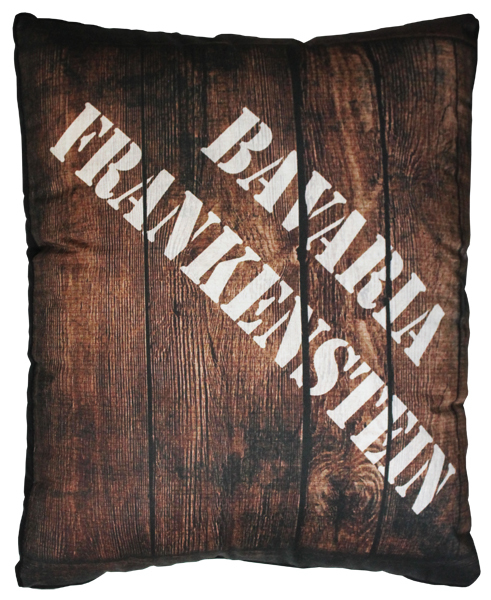 Next up is the cuddly version of Frankenstein's crate. This 15" tall pillow will be the perfect addition to your home. The crate design inspired us to try something new, too! For a limited time, we will be offering this decorative hand stained and painted crate, which has the ability to stand on its own, or be hung on your wall (wall hanging hardware included). Quantities are limited. 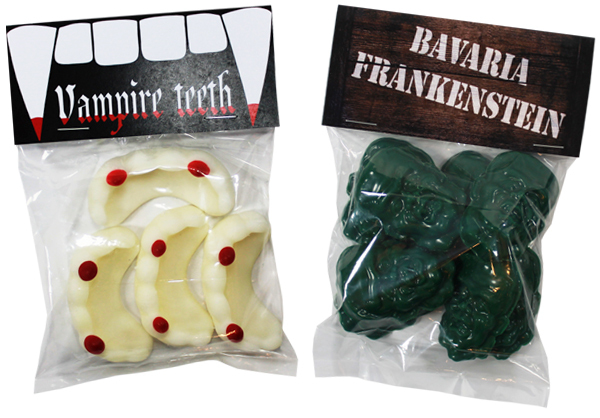 We've added two more styles of shaped wax melts: green tea scented Frankenstein heads (8 per bag) and vampire teeth (4 per bag) with a scent that combines notes of citrus, floral, and patchouli that will bite through the stench in any room! 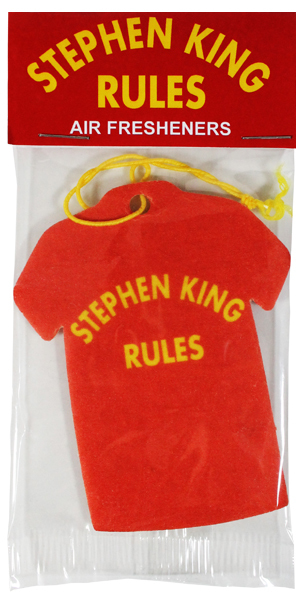 Take your love for Stephen King on the road with this 2-pack of car air fresheners. Smells like candy! 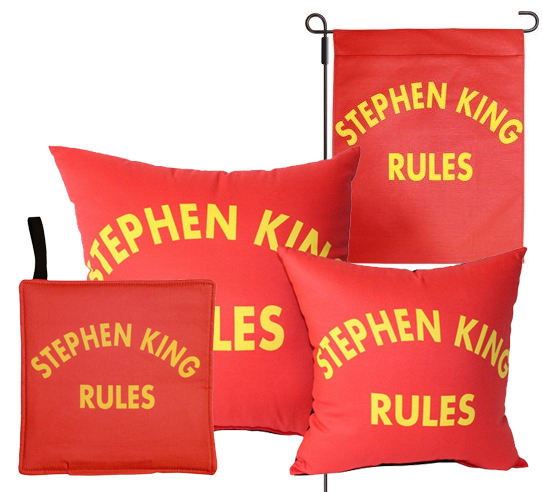 Don't forget, the Stephen King Rules design is also available as a pillow (now available in small and large sizes), a garden flag and a kitchen pot holder! Our Holiday Ornament Collection Has Arrived! Introducing a Monstrous New Line! Holiday Horrors 2016 available 11/21/16!